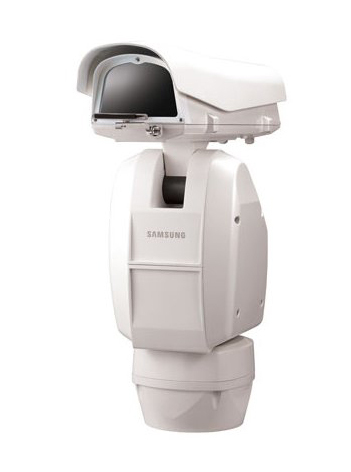 The Samsung SCU-VAC is an integrated positioning system accepting various camera/lens combinations to provide pan & tilt. It offers continuous 360° rotation with an extended -85° to 40° tilt range. Internal positioning encoders allow for all 255 prepositions to be accurate within 0.1° even in high wind or vibration environments. The unit is rated for weatherproof protection (IP 66) and has an operating temperature range of -58° to 122°F, making the SCU-VAC an ideal solution for demanding outdoor applications such as traffic or critical infrastructure. The Samsung SCU-VAC has many exciting features for users of all types. See the Samsung SCU-VAC gallery images above for more product views. The Samsung SCU-VAC is sold as a Brand New Unopened Item.